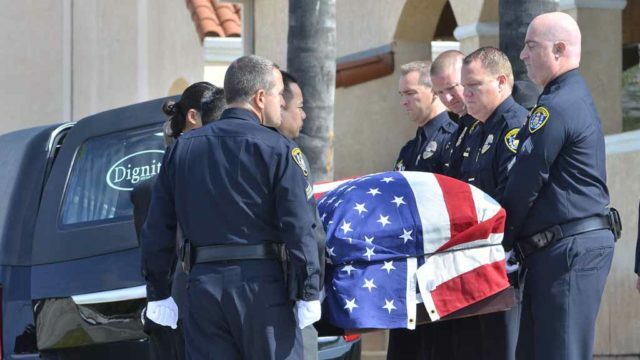 Federal legislation to name a Chula Vista post office after slain San Diego police Officer Jonathan “J.D.” DeGuzman has passed the House of Representatives, Rep. Susan Davis, D-San Diego, said Wednesday. The bill would designate a postal facility on Kuhn Drive as the Jonathan “J.D.” De Guzman Post Office Building. The officer, fatally shot during a traffic stop in July, lived in the South Bay city. DeGuzman, shot on July 28 in Southcrest, was 43. He was married and had two children. His partner, Officer Wade Irwin, was wounded. Jesse Michael Gomez was arrested after the shooting and faces charges of murder, attempted murder and being a felon in possession of a firearm. A special circumstance allegation of murder of a police officer makes Gomez eligible for the death penalty if he’s convicted. San Diego County’s five congressional representatives co-sponsored the bill. “The naming of this post office will help preserve the memory of Officer De Guzman’s service and sacrifice, and provide a constant reminder of the dangers that our law enforcement officers face every day keeping our communities safe,” said Rep. Scott Peters, D-San Diego. The legislation requires approval by the U.S. Senate and the president’s signature.